Tape Attach Integration is a method of attaching the touch screen to the display using an adhesive gasket frame around the rear perimeter of the touch screen. Once the gasket is applied an integration fixture is used to properly align the touch screen to the display. Dawar offers several different types of rear touch screen gasket options to accommodate different thicknesses and impact requirements from our customers. 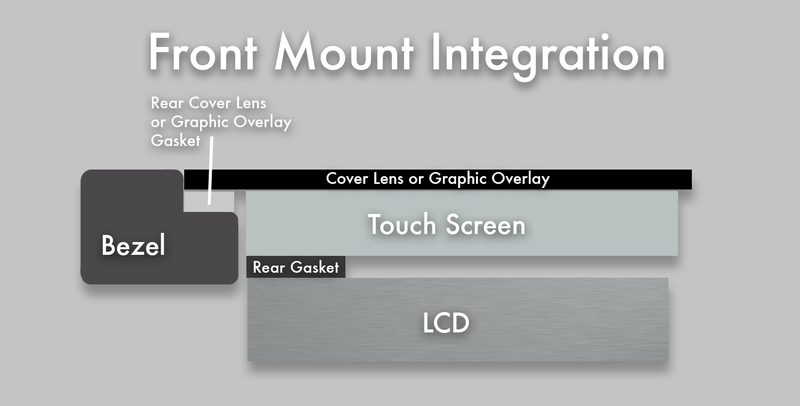 There are three common types of Tape Attach Integration including Rear Mount Integration, Front Mount Integration and Bezel-less Integration. 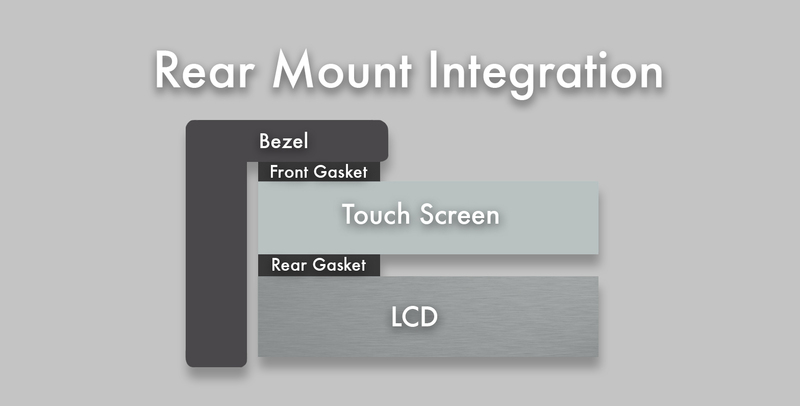 Rear mount integration is similar to how most resistive technologies are integrated today. They require a bezel that wraps around the front of the touch screen for the purpose of support, sealing, and hiding the buss bars around the screen. The touch screen is mounted directly to the frame of the LCD. Front mount integration is recommended if the user requires a uniformly smooth surface on the front of the product. Front mounting requires that the bezel be specifically designed for the application and it is important that the touch screen and LCD are supported from the back side to withstand the pressure from the user touching the screen. 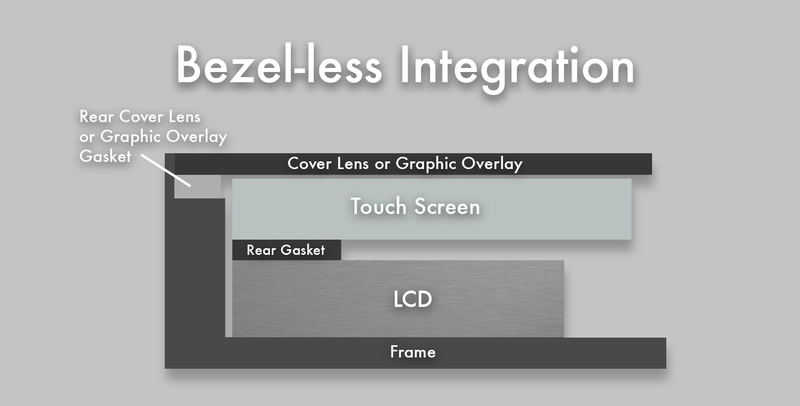 Bezel-less integration is similar to how many smart phones are integrated on the market today. A lens made of glass is bonded to the front surface of the touch screen for extra durability and aesthetics. A frame around the edge of the lens is required for mechanical support.